Appeals have been made against the failure by West Berks Council to grant planning permission for developments on the sites known as Lakeside and North Lakeside. The Lakeside site is the area between The Green and the Theale bypass. There is a large lake on the site. The North Lakeside site is the area between the lake and The Green. Outline application for Residential development of up to 325 houses and apartments (including 70 extra-care units) with associated access, parking, amenity space and landscaping - matters to be considered access. Appeals have been made to the Secretary of State against the non-determination of the applications by West Berkshire District Council within the prescribed period. The Council has forwarded all the representations made on the application to the Planning Inspectorate and the appellant. These will be considered by the Inspector when determining the appeal. All representations must be received by no later than five weeks from: 6th December 2016. Any representations submitted after the deadline will not usually be considered and will be returned. The Planning Inspectorate does not acknowledge representations. All representations must quote the Appeal Reference. The appeal documents can also be inspected at the Council's Market Street offices during normal working hours or via the Council’s website www.westberks.gov.uk/planning Click on 'View Planning Applications' and search for the related planning case using the 'Application Reference' quoted above. You can get a copy of one of the Planning Inspectorate’s “Taking part in a planning appeal” booklets free of charge. You can find links to these at the bottom of our 'Planning Appeals' webpage www.westberks.gov.uk/planningappeals. Change of use from Public House to residential use, demolition of the former skittle alley and outbuildings replaced with a new two storey side extension comprising of an additional 8 dwellings. Change of use from Public House to residential use, demolition of the former skittle alley and outbuildings replaced with a new two storey side extension comprising of an additional 7 dwellings. Appeals have been made to the Secretary of State against the decisions of West Berkshire District Council to refuse to grant planning permission. The appeals will be determined on the basis of written representations. West Berks Council have forwarded all the representations made on the application to the Planning Inspectorate and the appellant. These will be considered by the Inspectors when determining the appeals. All representations must be received no later than 5 weeks from: 14th December 2016. Any representations submitted after the deadline will not usually be considered and will be returned. The Planning Inspectorate does not acknowledge representations. All representations must quote the Appeal Reference. Please note that any representations you submit to the Planning Inspectorate will be copied to the appellant and this local planning authority and will be considered by the Inspectors when determining the appeals. You can get a copy of one of the Planning Inspectorate’s “Taking part in a planning appeal” booklets free of charge. You can find these at the bottom of the 'Planning Appeals' webpage www.westberks.gov.uk/planningappeals - see the links under 'Other Websites'. When made, the decision will be published online at https://acp.planninginspectorate.gov.uk and on West Berks Council’s web site. Please let me know what you think about the cuts. 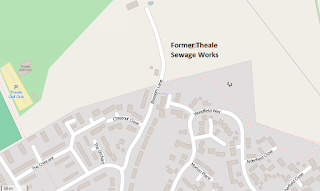 88 More Houses for Theale? It is an outline application, with only access to be considered. If the application is approved then further planning applications would have to be put in for things like site layout and house design. You can look at the plans online by going to http://publicaccess.westberks.gov.uk/online-applications/ and searching for application 16/02850/OUTMAJ. You can submit comments by emailing them to planapps@westberks.gov.uk or by writing to the Head of Planning, West Berkshire Council, Market Street, Newbury RG14 5LD. Include the application number, 16/02850/OUTMAJ, in your comments. You can also see the plans at Theale Parish Council’s office in Englefield Road on weekdays between 9:30am and 2:30pm. If approved, this would be on top of the 350 homes that already have planning permission on the Lakeside site, at the other end of Theale. Please let me know what you think about the plan. The Theale Village Community Association (TVCA) is hoping to bring some festive cheer to all with its first ever Christmas Trail! Similar to the Burghfield and Mortimer scarecrow trails, but featuring Christmas scenes instead, it will run between 10am and 5.30pm each day from Saturday 17th to Monday 19th December. If you would like to create a scene to be part of the trail, then get your thinking caps on and unleash your Christmas creativity! A cash prize of £50 is up for grabs for the winner of the ‘best scene’ vote! Return the entry form (on page 2) before 9th December, together with payment of the £5 entry fee. All proceeds from the Christmas trail will go to Theale 1st Brownies to help fund transport for their annual summer outing. A huge thank you to Parkers Estate Agents and Cotswold Fayre for supporting our first ever trail!.